It's always nice to treat yourself to a shopping spree. When I go shopping with my friends I always get home empty-handed, so I prefer shopping on my own. That's when I can actually buy things I love. 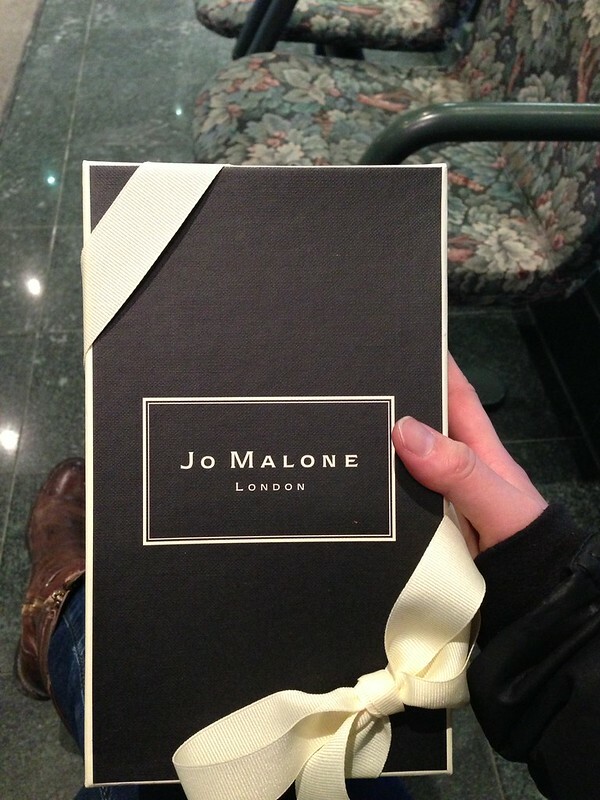 I've always been in love with Jo Malone products, nothing is better than buying something you love on your birthday. I originally planned on going to Holts to pick up Vintage Gardenia and Blackberry and Bay. I didn't realize they discontinued Vintage Gardenia until today. So I picked up the red rose diffuser instead. $85 for a diffuser is very expensive. But my last one lasted over half a year so I guess I can justify my purchase. It is an artificial fragrance, not like Neom Organics where they are essential oil. 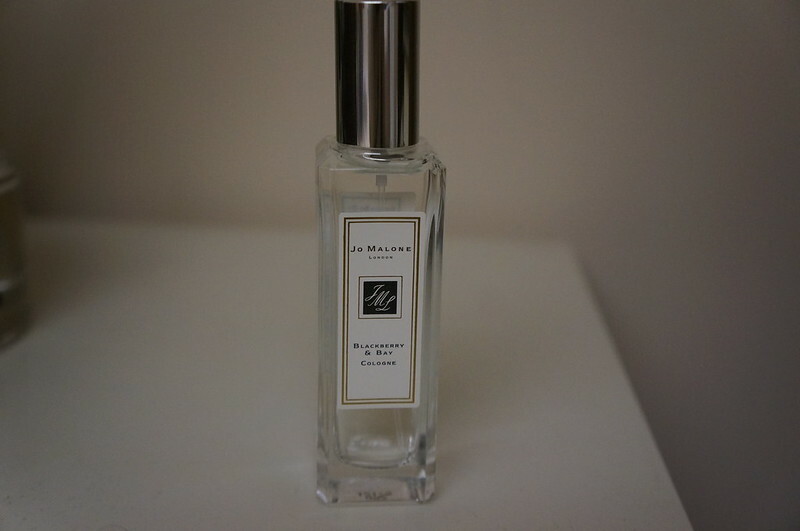 I find that Jo Malone makes the best rose fragrance in the market, it smells divine. It doesn't have the overwhelmingly fake rose smell like other brands. This one smells much more natural. I don't have the retail sizes of this perfume but I do have two 9ml bottles of the red rose cologne. Blackberry and Bay cologne is the newest cologne from Jo Malone. This is one of their fruity colognes. You can smell the blackberry and grapefruit. I like it but I don't like it enough to get the full size. I doubt that I can finish the full size. I find it being one of the less fruity colognes available. It's not overly sweet like Nectarine Blossom and Honey Cologne and Pomegranate Noir cologne. I normally use it alone or pair it with English Pear and Freesia. I also got myself a set of new interchangeable needles. 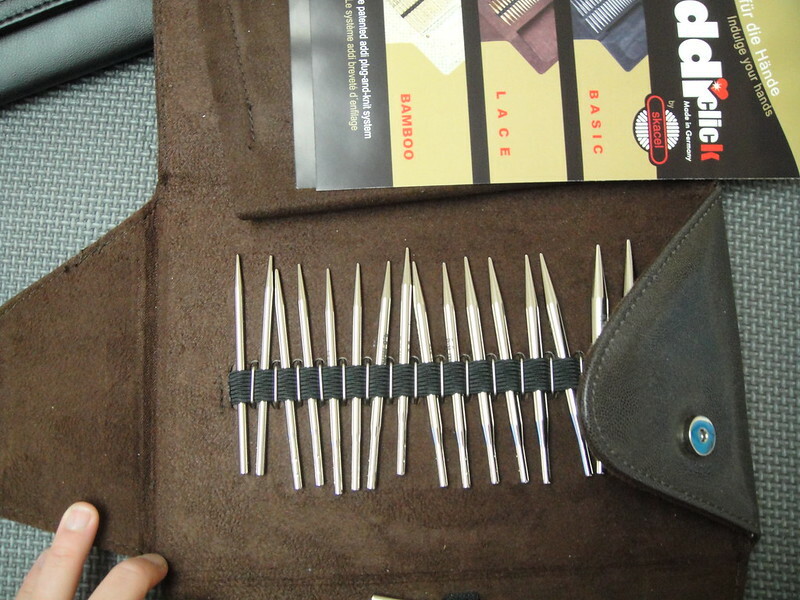 This is my 6th set of interchangeable needles. Second set of Addi. You can never have too many knitting needles. Extra needles are always useful. You never know when you need to start a new project! It's the same old boring needle case. 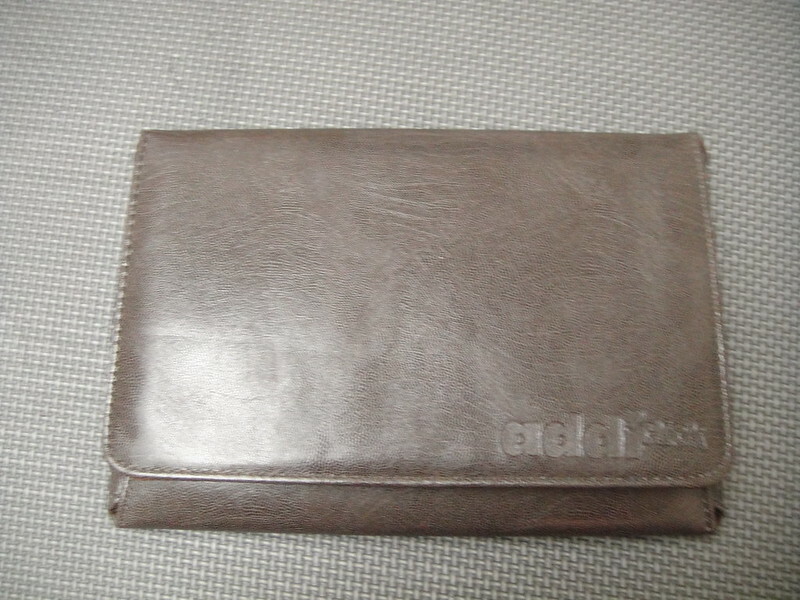 This time in brown not black. But it's still a boring color. Why can't they make the case in different colors? This is the set with the shorter needle tips. They are 3" long compared to the 5" long regular tips. A trip to the yarn store is not complete without buying new yarn. Yarn is always the hardest thing to resist so I try my best not to step foot into any yarn store. Michaels doesn't count, they don't have yarn I like. I only go to Michaels for notions and tools. If I go to Michaels for yarn, it's probably for projects for people I don't love that much. So this time I came home with three kinds of yarn. 5 skeins of the diamond brand luxury collection Baby Alpaca sport. Don't let the "sport" fool you thinking it's a sport weight yarn, it's actually a bulky yarn between worsted weight and bulky. For a bulky yarn they shouldn't put sport on it. It's very misleading if you didn't look at the yarn before buying. They retail at $14.99 per skein not cheap but it felt so soft. Just couldn't put it down. I'll be using it for a scarf for my boyfriend. I didn't expect my boyfriend to ask for a new scarf!!! Next are the two skeins of ruffle yarns from Rowan from the kidsilk creation line. I actually have a few balls of ruffle yarn I need to use up. I bought them before the ruffle scarves became so popular. They've been in my stash for three years now. But all the ones I have at home are made of nylon, not something I prefer. I know Rowan came out with this yarn sometime last year, Kidsilk Creation consists of 70% mohair and 30% silk, that's the best you can get for ruffle yarn. It feels soft and luxurious but at $25 a skein it's not something I'll get. As I already made something similar just with a different brand of yarn. 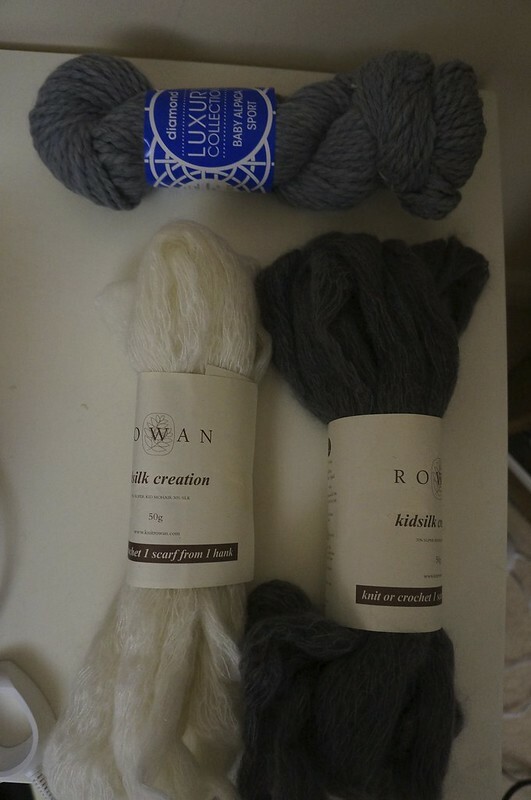 But with the Kidsilk Creation being 50% off, I got two skeins. One will be for knitting, the other will be used for crocheting.